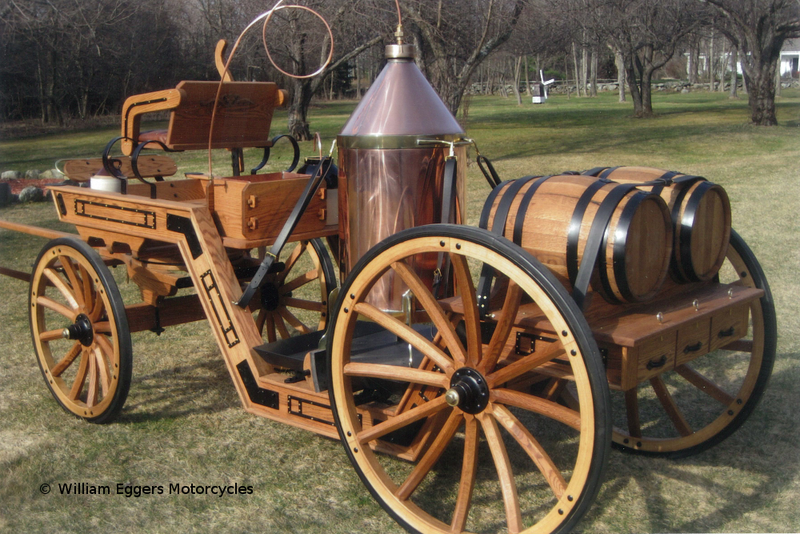 Custom, horse-drawn moonshine still. One of a kind! This custom 1930 Indian Motorcycle was named “Renegade” by Bill Eggers who purchased it in Florida for $12,000 in the mid-1990s. After 3 years of custom work, this four-cylinder Model 402 was sold to a private museum in London for $80,000 at Sotheby’s in 2000. It was then resold again at Bonham’s auction house in 2012. This custom 1913 Harley Davidson was built for Harley’s 90th birthday. The cover bike for the 2000 Harley Davidson calendar, it is now displayed by Harley at the Daytona Ocean Center. 1950 Harley Davidson Indian Chief Motorcycle. Voted “The Most Beautiful Indian Motorcycle in the World” at Daytona. This motorcycle has been sold.